Imagine surfing a wave that is several kilometers long. Waves like this actually exist. However, they do not roll along the sea surface. You’ll need to look up to find them, and you’ll need a hang glider to surf them. Let’s have a look at the Morning Glory phenomenon. Figure 1: Morning glory cloud over southeastern Brazil on November 11, 2013 (image source). Morning glories (Figure 1) are atmospheric waves that can be up to 1000 km long and 2 km high, and they travel at more than 60 km/h. We can only see these waves when clouds form within them. A Morning Glory cloud forms at the front of the wave (the updraft zone), where moist air rises, cools and condenses (Figure 2). If conditions are ideal, several of these sausage-like clouds may form at the same time. The clouds travel together with the moving atmospheric waves, creating a rolling appearance in the sky. They are rarely seen and require specific atmospheric conditions depending on location and time of year. Figure 2. Left: Formation of clouds in an atmospheric wave. Ascending moist air cools and condenses (image source). Right: A series of morning glories (image source). Morning Glory clouds arise most frequently above the Gulf of Carpentaria in Northern Australia (Figure 3, left), usually between the dry and wet seasons in September and October. This area is where the morning glories are best understood and thus best predicted. Locals claim there is enough moisture in the air for the clouds to form when “the fridges frost over and the café tables’ corners curl upwards at the Burketown Pub”1. Although the locals are right about the importance of moisture, something else also makes this gulf a hot spot for formation of these spectacular clouds. Figure 3. Left: Map of Gulf of Carpentaria, North Australia. This is where the Morning Glory clouds are most frequently seen (image source). The arrow denotes a possible direction of the traveling wave from land to sea. Right: Schematic of conditions that are ideal for mornings glories over the Gulf of Carpentaria. A wave bore travels into an area where waves can propagate horizontally. In addition to moist air, we need a medium the Morning Glory wave can travel in (Figure 3, right). In this case, the wave medium is a relatively shallow layer of air where the temperature increases with height. With such a medium, air will not penetrate far in the vertical but rather oscillate up and down horizontally, just like a wave on the ocean. In the Gulf of Carpentaria, a layer like this most often develops during the night, as the air over the ocean cools. Once we have a medium, we need something that flows into the medium and starts the wave, otherwise known as a wave bore. The wave bore traveling into the wave medium can be disturbances in the air that move together with the large-scale flow toward and over the gulf. These disturbances are often related to the sea breezes that occur at the land-ocean interface, where land gets more rapidly heated (during the day) and cooled (during the night) than the ocean. When moist air, a wave medium, and a wave bore are present, one or a series of clouds may form, creating a magnificent atmospheric show rolling in the direction of the wave. The show is over when the sun rises, heats the surface, and tears the wave medium apart. Morning glories are relatively short lasting events. In order to surf these rolling waves, hang gliders and glider pilots need to predict them. If they predict them correctly, these early birds start gliding their way toward an amazing surfing adventure (Figure 4). But beware! If the cloud overtakes them, then they may get into serious trouble with turbulence and strong winds. Otherwise, they can enjoy the Morning Glory’s silver lining for hours on end. 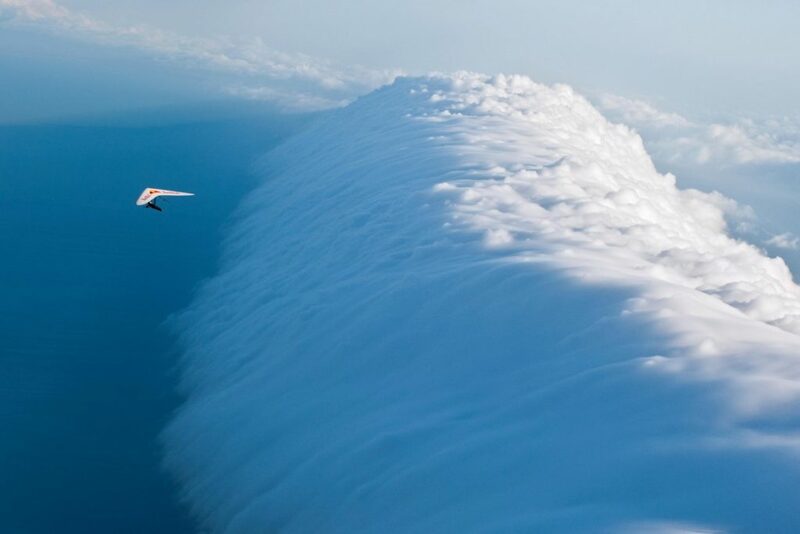 Figure 4: Hang glider in front of a Morning Glory cloud over Gulf of Carpentaria, North Australia (image source). 1G avin Pretor-Pinney (2006). The Cloudspotter’s Guide. Hodder & Stoughton. ISBN 0-340-89589-6. Chapter 13, The Morning Glory the cloud that glider pilots surf, pp 283–305. Tagged atmospheric waves, clouds, gliders, hanggliding, morning glory, wave bore, wave clouds, Waves.